You are at:Home»August»August 29»August 29, 708: When Were Coins First Minted? August 29, 708: When Were Coins First Minted? On August 29, 798 (AD), Japan minted copper coins for the first time in their history. As you may guess from the date, these were certainly not the first coins minted and not by a long stretch the first coins ever minted. The distinction of minting the first known coins goes back to the 7th and 6th Century BC in Anatolia (modern Turkey) by King Alyattes of Lydia (sometimes given a date of 610 BC). The earliest known coin is the Lydian Lion coin. The practice of making coins quickly spread throughout the Persian and Greek empires, greatly facilitating trade throughout the world. These earliest coins were made from an ore of gold and silver called electrum, a substance found in rivers and believed (back then) to have been formed by King Midas (8th Century BC) who according to myth bathed in a river in an effort to wash off his curse (where everything he touched turned to gold). Gold and Silver coins and coins made from a combination of the metals were the original rule, but lower denomination coins were needed, hence the use of less costly metal such as copper or alloys such as bronze. Some artifacts found in China from the 11th Century BC have been theorized to be some form of coinage, but their actual purpose is not known definitively. In the Nathaniel Hawthorne version of the Midas myth, Midas’s daughter turns to a golden statue when he touches her. 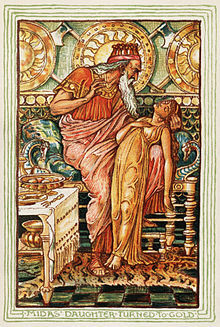 Illustration by Walter Crane for the 1893 edition. The Romans were introduced to coins and began minting their own varieties by the 3rd Century BC, using a variety of metals. Most early coins, not unlike those today, bore the image of the King or Queen or some other symbol of the government that issued the coins. Though most coins have been more or less round, the Lydian Lion coin had a square hole in the middle, and other coins have used similar hole in the middle techniques. Other shapes such as square or hexagonal coins have been used. In modern time, even aluminum coins have been minted! In the Pacific island of Yap, the people have made the world’s largest coins made from stone, large round wheels with a hole in the center up to 12 feet in diameter! (One would need a pretty big coin purse and pretty big pockets to carry that money!) Even porcelain has been used to make coins. In the United States, due to wartime shortages of copper, pennies were made from steel in 1943. In 1982 the American “copper” penny was changed to copper plated zinc. Later, in 1965 American coins of higher than 5 cents value were no longer made with silver contents, instead being made by a “sandwich” of other metals, mostly copper and nickel (75% copper and 25% nickel on the outside over a core of pure copper for dimes, quarters, and half dollars). In fact, even the “nickel” 5 cent piece is 75% copper and 25% nickel, a composition that was changed to include silver during World War II when copper and nickel became more strategically valuable than silver. The US Mint is supposedly exploring replacement metals to make “nickels.” Whereas Silver Dollars were once a standard piece of the American money scene, the discontinuation of making the dollar coin out of real silver has diminished its status. 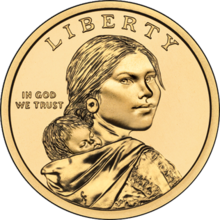 The Susan B. Anthony, Sacagawea and Presidential dollar coins did not catch on with the American public and have largely sat idle, not being circulated. This lack of use has caused the US Mint to stop issuing dollar coins for general circulation after 2011. The process of minting coins is accomplished by vigorously slamming a piece of coin metal between 2 dies at great force, imparting the desired image on the metal. The coins that bear the little ridges on the outer rim do so to discourage cheaters from shaving pieces of precious metal from the coins. Of course, today this practice would be obsolete with the great majority of coins that are minted from non-precious metals. In the early days of making coins, the metal could be cast into coins or hammered into a die by hand, whereas today giant machines do the work. Casting was necessary when using hard metals (such as antimony) as the coins would break if struck. Regardless of the method of manufacture, the counterfeiting of coins was developed almost as soon as the invention of coins! Methods of determining the actual metal content of the coins had to be developed, and Archimedes is often credited with coming up with the idea of using the weight of the metal as a ratio to how much water it displaced to determine if the precious metal mixture in a coin or ingot was correct. The lack of specie (coins made of precious metals) at times in the past made the printing of paper money necessary, a switch many people were reluctant to accept. When the California Gold Rush took place in 1848-1855, the abundance of precious metal and lack of coins resulted in private businesses and banks minting their own versions of coins. A San Francisco branch of the US Mint was opened in 1854 to alleviate the lack of coins available in California, using the ready supply of gold, silver and other metals found in the American West. Presumably as long as there have been coins, there have been coin collectors. At first probably just to amass wealth, but then for the novelty and interest of particularly rare or beautiful coins. Coin collectors, called numismatists, were usually rich people at first, those who did not need the money value of the coins for normal living and could afford the luxury of owning money not for money’s sake. Many large and valuable coin collections, even among people of more modest means, have been passed along as inheritance to succeeding generations. Collectible coins are particularly susceptible to counterfeiting today, and sadly, also to theft. Do you own any rare or particularly interesting coins? Do you collect coins? Does anyone in your family collect coins? What do you think of coin collecting? How about the dollar coin versus the dollar bill? 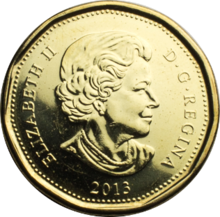 Is it time for the US to join Canada in replacing paper dollars with coins only? Give us your thoughts on these topics. Image of a Canadian 1-dollar coin (Loonie). Berman, Neil S. and Ron Guth. Coin Collecting For Dummies. For Dummies, 2008. Richardson, C. Ancient Selfies: History Revealed Through the World’s First Social Media – Ancient Coins. Read Janus, 2017. Van Ryzin, Robert. Fascinating Facts, Mysteries and Myths About U.S. Coins. Krause Publications, 2009. Previous ArticleAugust 28, 489: Who Was the First King of Italy?